THESE DAYS, if an aspiring author is a good editor of his/her own work, and has a talent for self-promotion, it is possible to flog as many copies of a self-published effort – with a little help from Amazon – as the average first book of literary fiction from a mainstream publisher would sell the traditional way. A downside is many writers who take the self-publication route are simply reserving for themselves the Beelzebub-given right to be bad writers. Another is that, oftentimes, the final product – the first book every writer desires as desperately as a teenage boy wishes to be rid of his virginity – looks so amateurish: the pages too shiny, the fonts just wrong. Connemara’s Ronan Joyce is exceptional because his novel, Week At The Nees, is well made in both senses. The book looks great and Week At The Nees is a lively story economically told. It takes place on “a remote Irish island”, which is clearly Inis Mór. The central character is a permanently cash strapped priest, Marcus Nees, whose “business ventures” tend to bring him into contact with crime world entrepreneurs, the sort of people who’d as soon nail you to a pool table as look at you. There is a dark comedy to some of the storytelling. During a tense moment in the mayhem unleashed by Fr Nees’ fundraising ventures, the charming Lucy accidentally shoots him, though not fatally, thinking him to be a member of An Garda Síochána. Sure, it’s a situation any of us could find ourselves in, if we took a wrong turn, but Fr Marcus Nees takes more wrong turns than most, and Lucy is the sort of young lady best avoided by anyone who hopes to pass away peacefully, at a great age, in his own bed. 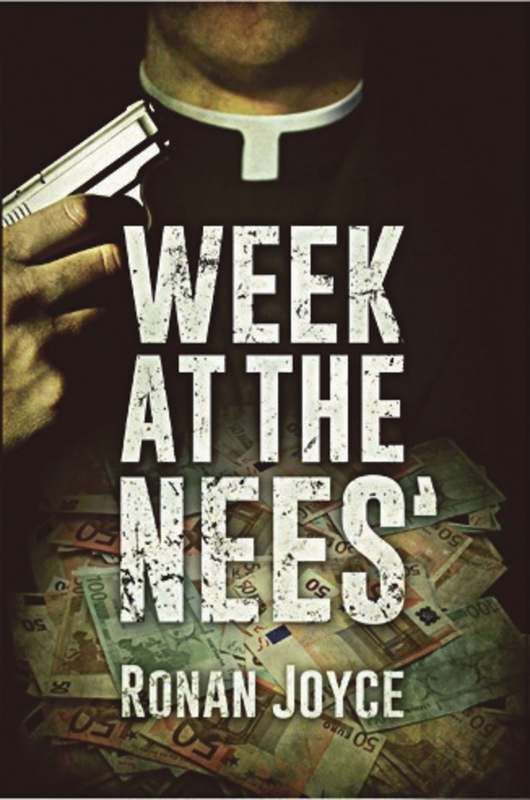 Week At The Nees is one of a series of Marcus Nee novels. So, this questionable priest Ronan Joyce has imagined into being, might yet become the Aran Islands’ answer to Ken Bruen’s detective Jack Taylor. The film version of Week At The Nees’ would surely star Brendan Gleeson as the beleaguered Father Nees, with Lucy being played perhaps by one of the Continuity IRA’s more charismatic female members.